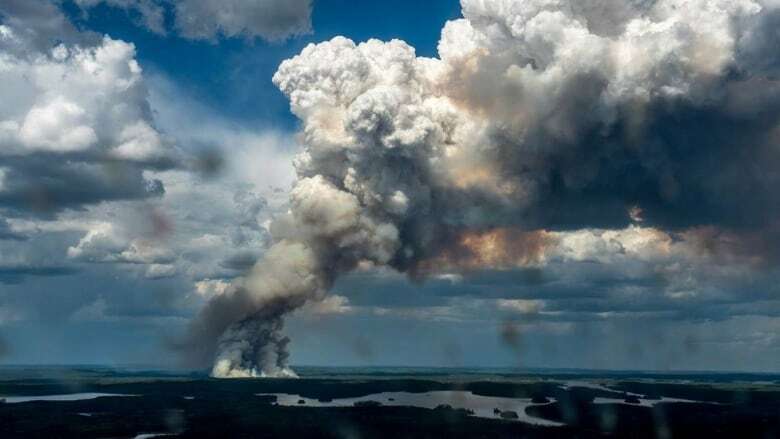 A leaked copy of a government report on climate change says that since 1948, Canada's annual average temperature over land has warmed 1.7 C, with higher rates seen in the North, the Prairies and northern British Columbia. Canada is, on average, experiencing warming at twice the rate of the rest of the world, with Northern Canada heating up at almost three times the global average, according to a new government report. The study — Canada's Changing Climate Report (CCCR) — was commissioned by Environment and Climate Change Canada. 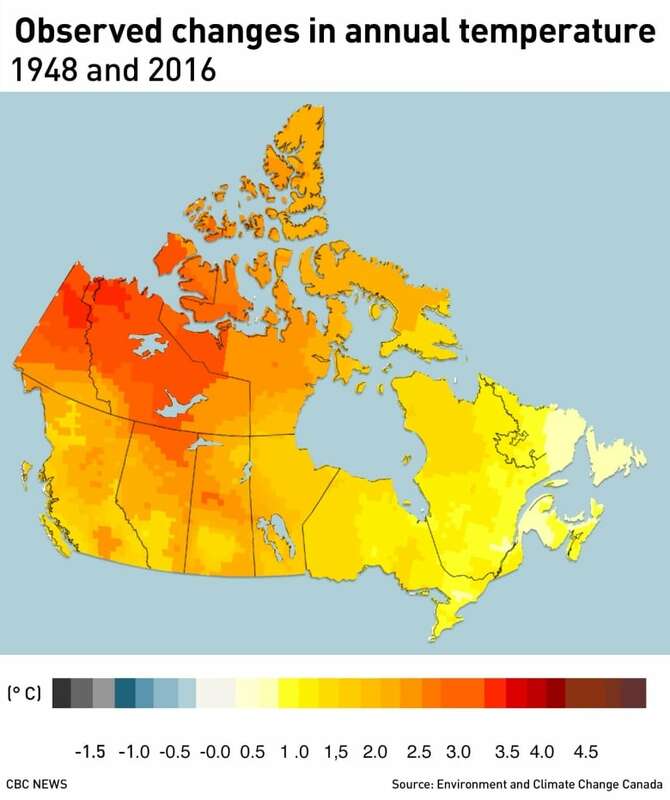 It says that since 1948, Canada's annual average temperature over land has warmed 1.7 C, with higher rates seen in the North, the Prairies and northern British Columbia. In Northern Canada, the annual average temperature has increased by 2.3 C.
According to the U.S. National Oceanic and Atmospheric Administration (NOAA), since 1948, global average temperatures have increased by about 0.8 C.
Along with these temperature increases, the CCCR says Canada is experiencing increases in precipitation (particularly in winter), "extreme fire weather" and water supply shortages in summer, and a heightened risk of coastal flooding. The report was authored by government scientists from the ministries of Environment and Climate Change, Fisheries and Oceans and Natural Resources, with contributions from university experts. 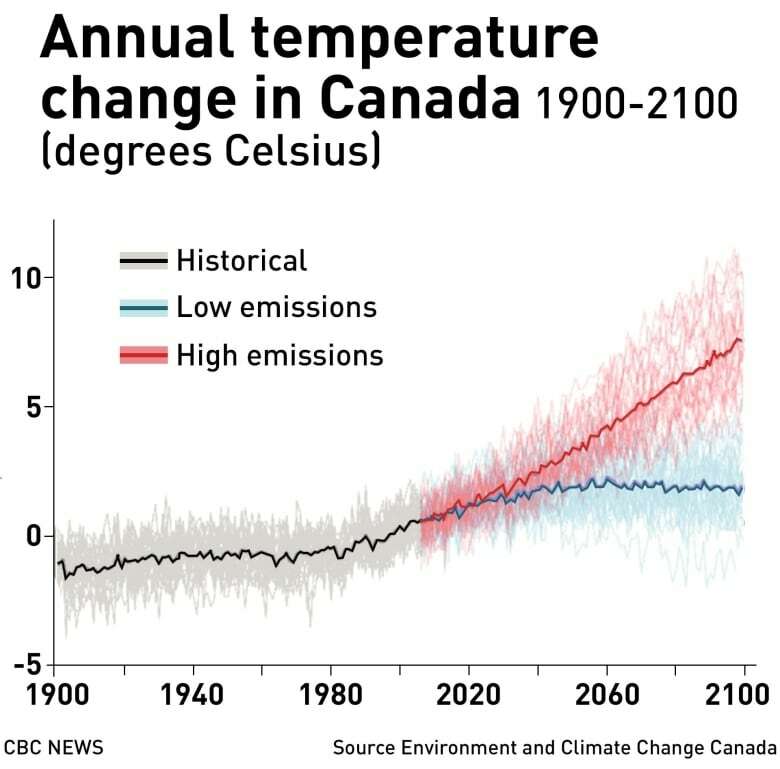 The document says that while warming in Canada has been the result of both human activity and natural variations in the climate, "the human factor is dominant," especially emissions of greenhouse gases. Increasing warmth has had a number of effects in Canada, including greater precipitation, the report says. The authors' observations show that annual precipitation has increased across Canada since 1948, with larger increases in northern Canada and parts of Manitoba, Ontario, northern Quebec and Atlantic Canada. Warming also has led to a reduction in how much snowfall accounts for total precipitation in southern Canada. Additionally, warming will intensify the severity of heat waves and contribute to higher risks of drought and wildfires. The report says that extreme heat events — which currently occur every 20 years on average — will happen once every five years by the middle of the century under a low-emissions scenario, and every other year in a high-emissions scenario. The report's early release saw it come out as the the federal government's carbon-pricing plan was going into effect in Manitoba, New Brunswick, Ontario and Saskatchewan. Ottawa has imposed a fuel levy in these provinces as a backstop because they don't have carbon-pricing schemes of their own in place. The report stresses that efforts to reduce greenhouse gas emissions in the coming decades will have "an increasing impact on the amount of additional warming beyond this time frame." The report says the national annual average temperature increase projected for the late century, compared to the reference period of 1986-2005, ranges from a "low-emission scenario" of 1.8 C to a "high-emission scenario" of 6.3 C.
According to the now released report, the only way to keep global temperature rises in line with the targets set by nations at the Paris climate summit in 2015 is for "global emissions to peak almost immediately, with rapid and deep reductions thereafter." The report also predicts that under a medium-emission scenario, glaciers in Canada's west will lose between 74 per cent and 96 per cent of their volume by the end of the century. An earlier version of this story said that more intense rainfall contributes to increased urban flooding. In fact, while the report states that precipitation is higher overall, it did not find that episodes of short-duration extreme rainfall have increased or establish a connection between these and increased or exacerbated flooding.